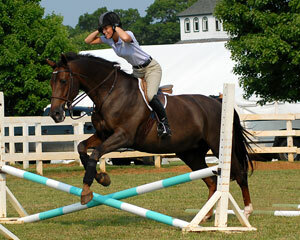 Thousands of riders seek to excel in hunter and hunter seat equitation classes in their junior years, and many devotees continue on, exploring the amateur and professional ranks later in life. Hunters and hunter seat equitation are disciplines that demand and deserve conscientious training, diligent practice, unswerving attention to detail, and—most importantly—guidance from a knowledgeable and trustworthy authority. Anna Jane White-Mullin made her name succeeding as a junior rider, winning hunter and equitation championships at major shows up and down the East Coast, including the Maclay Finals. Now a respected “R” judge in the hunter, equitation, and jumper divisions, White-Mullin has taken her unique perspective as both ambitious competitor and discerning critic and developed the consummate guide to the sport she knows so well. 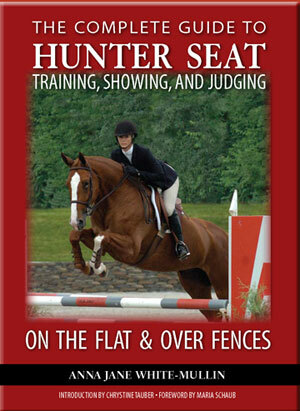 “The Complete Guide to Hunter Seat Training, Showing, and Judging is intended to set a national standard of practical, safe, and humane training and showing practices that will enable horse and rider to meet the established standards of judging in America,” she writes in her Preface. This it does, but readers will find that the insight White-Mullin offers within these pages is, in fact, of infinite value. Chelsea Moss practicing a gymnastic exercise. Based on her acclaimed and now out-of-print Winning, and complemented by the inclusion of the recently revised version of Judging Hunters and Hunter Seat Equitation (to date the only book of its kind, now completely rephotographed in full color), The Complete Guide offers instruction to horsemen of every level. Dozens of easy-to implement exercises not only help riders teach themselves, they help trainers coach their students. And the section on rating conformational flaws, form faults, and rider position and performance not only gives the competitor an inside look at how the judge thinks, more importantly it provides how-to guidelines for those who might aspire to someday choose the winners, rather than simply be among them. 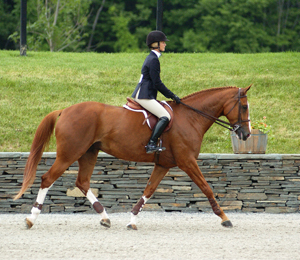 From working at home to perfect rhythm, bending, and transitions on the flat, to schooling over cavalletti, gymnastics, and basic combinations; from deciphering complex courses and analyzing striding, to maintaining correct position and improving the horse’s form, movement, and behavior,White-Mullin’s immensely educational book does indeed set the standard for the modern hunter or equitation rider. Featuring a complete discussion of USEF tests, rules, and requirements, hundreds of gorgeous color photographs including today’s top riders at some of the nation’s most prestigious show barns, never before has such a complete text on these highly regarded disciplines been compiled. Maria Schaub at the working trot in a USEF Talent Search Class. 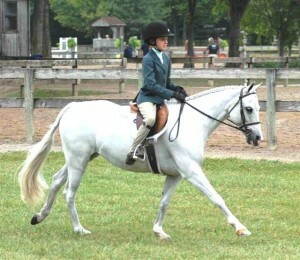 Meredith Darst in a Pony Under Saddle class.